Ticket sales were dropping below the million sold mark, critics were less than favorable in their reviews and fans were beginning to miss the fun Godzilla flicks of the 60s. Toho knew it was time to go back to the more established alien invasion plots and familiar monsters. Enter director Jun Fukuda to bring the 12th Godzilla film to life with Godzilla vs. Gigan (1972). However, nailing the storyline down was, in itself, a task worthy of Godzilla himself. Originally, the next movie was to have been called Godzilla vs. The Space Monsters: Earth Defense Directive and was going to feature as many as six monsters, including Megalon and a Daimajin-inspired creature. Some of the plot ideas would be shelved and used later when plans shifted to highlighting King Ghidorah. The number of monsters was reduced again when it became clear that a smaller budget meant a tighter script and less special effects. What remained was a story more closely resembling a traditional Godzilla film than the two previous entries. Aliens from a dying planet in Space Hunter Nebula M plan to conquer Earth (apparently ignoring that all previous attempts have ended in failure). They hide out among the construction of a new amusement park called World Children’s land, which proudly displays the Godzilla tower. They plan to bring Gigan and King Ghidorah to Earth to wipe out humanity. Enter Godzilla and Anguirus on Monster Island, who hear a space signal and know something is wrong. Godzilla orders Anguirus to leave and investigate (I guess the fences aren’t in effect yet or maybe we just gave up that idea). And yes, we actually get to hear Godzilla talk. Enough said about that poor idea the better. It isn’t used much and thankfully becomes part of the past as the series moved on. What follows is a nice battle between the monsters. Sure, it’s scaled down a little from Destroy All Monsters a few years earlier but at least it’s not a dream sequence. The monsters are at least recognizable and not made up of pollution. I’m even willing to overlook the airplane like maneuvers of Ghidorah as it’s still one of my favorite monsters. Ticket sales would see a slight improvement but critical response seemed to be a little more favorable as some believed the series was making a move back towards being taken more seriously. This would also be the last time the legendary Haruo Nakajima would wear the Godzilla costume. Amazingly, at the time of this writing, Nakajima is still alive at the age of 84 and planning to make a rare U.S. appearance at the Mad Monster Party convention in Charlotte in March 2013. His credits also include The Seven Samurai (1954) and The Hidden Fortress (1958). 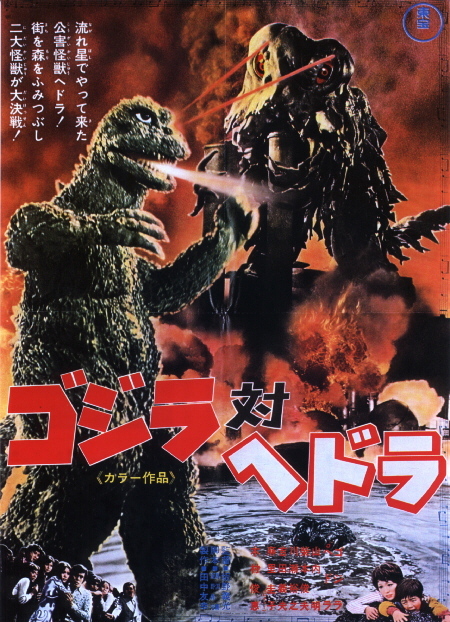 The movie didn’t see release in North America until six years later when it was renamed Godzilla On Monster Island (which actually works for me despite very little action on Monster Island actually happening in this movie). A few scenes of violence were cut but the movie closely resembled the original and frequented creature feature rotations around the country, including my own in Kansas City. However, by 2002, the international print has become the standard. Sadly, this too has fallen out-of-print, so keep those wallets open if you so desire to add this entry into your Kaiju collection. Check out the trailer to whet your appetite while you shop around. Then brace yourself, because one of the most controversial Godzilla films was next in line to either bring the big guy down for good or give him one of the biggest successes at the time. So, I started my homework last time, having made my way through The Adventures of Buckaroo Banzai Across The 8th Dimension (1984) and Remo Williams: The Adventure Begins (1985). So let’s just dive in on three more recent viewings from two of the great podcasts I listen to. Several years ago I bought this movie from iTunes when I was looking for new films to watch. I had never heard of this one but thoroughly enjoyed it upon a first viewing. When Vince, Mary and Nic decided to review it on episode 230 of the B Movie Cast, I decided it was time to revisit it and found it to be just as fun the second time. It deals with a family curse, a tribal witch doctor named Zutai and a crazy Swiss doctor named Emil Zurich. There are beheadings and shrunken heads and some generally creepy scenes. Zurich is played by Henry Daniell, a character actor well known for his countless villainous roles in such films as The Body Snatcher (1945) and as the legendary Professor Moriarty opposite Basil Rathbone’s Sherlock Holmes in The Woman in Green (1945). This is a fun movie that almost never gets talked about. Do yourself a favor and check it out on iTunes, Amazon Instant Video or DVD. However, it does appear to be out-of-print, so open those wallets. Meanwhile, check out the trailer on YouTube. I ran across this movie title a few years ago but never took the time to find a copy. Then, I stumbled across the full movie on YouTube. Yet, I still neglected to watch it until Vince, Mary and Nic decided to review it on the B Movie Cast in episode 159. This was the directorial debut of Robert Clarke (The Astounding She-Monster and the incredibly boring Incredible Petrified World (which has a 2.9 IMDB rating if you doubt me). Clarke made this movie for just $50,000, which even in 1959 was a shoestring budget at best when considering $500 went for the monster costume. In addition to producing and writing our story, Clarke also headlines the film as Dr. Gil McKenna, who is exposed to radiation during a failed experiment. Doctors are baffled that he showed no signs of being burned but he is hospitalized to recuperate while they study him. 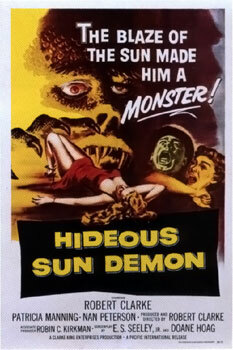 Gil soon discovers that the sun’s healing rays turn him into a…wait for it…hideous sun demon! What follows is the usual good guy turned monster hides out from the law and scientists while leaving a trail of death. There is an odd romantic storyline between Gil and a lounge singer, who at one point stands by to watch him beat up by her boss (who acts more like her pimp). All this leads up to the big confrontation on a tower as the movie quickly wraps up. Along our journey, we have some very bad acting (supposedly done by friends and family) and a meandering story that sees Gil never really going anywhere despite always being on the go. Yes, it’s bad but it has a certain charm that reminded me of The Beast From The Beginning of Time during some of the office scenes and exterior shots. Check it out on YouTube before you decide to buy it on DVD. Either way, I predict you’ll have fun. Is it horror? Is it comedy? Is it a love story? Is it worth the 80 minutes? Questions best left up to you to decide. 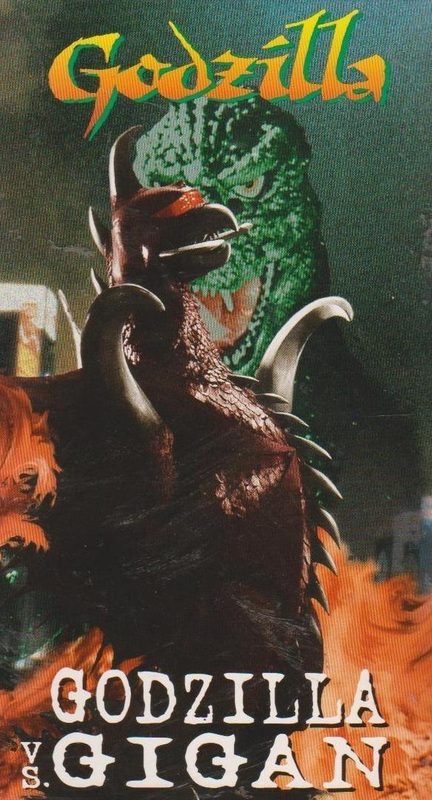 I’ve had this on my Netflix queue for a while now but decided it was time to bite the bullet when Devil Dinosaur Jr. reviewed it on episode 284 of the Dread Media podcast, hosted by Desmond Reddick. Honestly, I’m still trying to decide what I feel about Lo. On one hand, it was amateurish and very uneven. However, it was also very unique and original, which we all agree Hollywood sorely needs more of. Our story here is about a young man, Justin (Ward Roberts), who conjures up a demon named Lo (marvelously played by Jeremiah Birkett). He wants to be reunited with his true love April (Sarah Lassez), who apparently was taken to Hell by another demon. As Justin attempts to negotiate with Lo, we are lead through a series of flashbacks that look as if you are watching a stage play. There is also some very bizarre imagery. Sadly, much of the acting matches that of your local theater group as well. The demon Lo is very creepy at times and well worth watching this movie at least once. Just be prepared you will have to wade your way through some bad acting and a very sparse looking film. But again, I enjoyed it…at times. It’s an odd trip of a movie so it’s best if you be the judge. It’s on Netflix and DVD if you so desire. It’s hard to believe that I’ve been listening to podcasts since 2005. That was the year my wife got me this cool new device called an iPod. It opened up a new world to me as I realized my passions for all things Star Trek, Doctor Who, horror and sci-fi were shared by countless others all around the world. Oh sure, I obviously knew that but now there was a way I could connect to them. And ever since I left that first voicemail for Joe Barlow and his Cinemaslave podcast, and he responded with kind and enthusiastic words, I’ve never looked back. These podcasts have introduced me to movies I’ve never heard of or have long since forgotten of. In recent weeks, I’ve been playing some serious catch-up on some “new” movies. Let’s take a look and see how they turned out! I’m not sure how I missed this movie back in the 80s. Sure, the 90s got busy with kids but the 80s? Well, after years of it being on my mountainous “to watch” stack, I finally sat down to enjoy it. 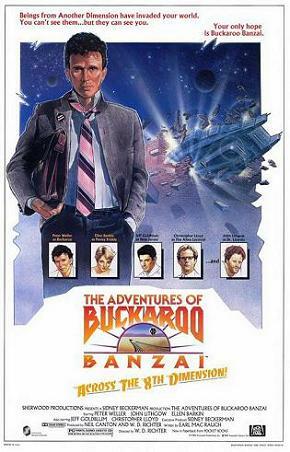 Peter Weller (Robocop) stars as Buckaroo Banzai, who can best be described as a modern-day Doc Savage. His group, the Hong Kong Cavaliers, are very similar to the Fabulous Five (again from Doc Savage). Buckaroo is a scientist, rock star and comic book hero, amongst other “jobs”. He and his sidekicks is the only thing between us and an alien invasion that dates back to the infamous War of the World radio broadcast of 1938. You’ll recognize a young Jeff Goldblum (The Fly) and Clancy Brown (The Shawshank Redemption), but you’ll probably miss 80s one-hit wonder Billy Vera. We have John Lithgow (Rise of the Planet of the Apes) as Dr. Emilio Lizardo aka Lord John Whorfin and Christopher Lloyd (Back to the Future) as John Bigboote. And, of course, Ellen Barkin (The Big Easy) looks sexier than I ever thought she could as love interest Penny Priddy. It’s crazy, over-the-top comic book fun that reminds me a lot of Doctor Who madness. Unfortunately, it went virtually unnoticed in 1984 and we never got the sequel that is promised in the end credits. Admittedly, it was hard to promote and got lost amongst other summer of ’84 blockbusters, such as Star Trek III: The Search for Spock, Indiana Jones and the Temple of Doom and Ghostbusters. That said, it has since gathered a cult following who crave anything Banzai, such as the novelization and comic books that eventually followed. It is well worth checking out on DVD but it is harder to find and may be a little expensive. It’s also easily found on Netflix. Meanwhile, check out a trailer and be sure to listen to Terry Frost and Nick Sauer discuss the movie in episode 10 of the Martian Drive-In Podcast. This was another 80s classic that I never saw. Having finally seen it, I guess I’m falling into a minority as I just didn’t enjoy it as much as I thought I would. It’s based on a series of pulp paperbacks called The Destroyer. However, from what I’ve read, the book series took itself more seriously than the movie since they now total 150 and going strong. 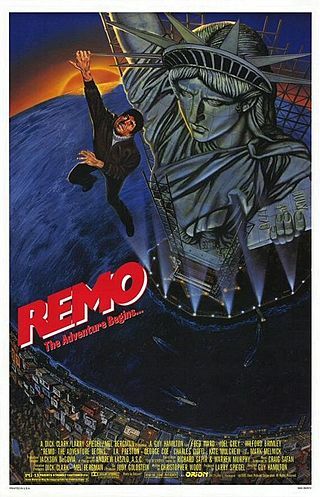 Our main character of Remo Williams is played by Fred Ward (Tremors), who is just not leading man material in my opinion. He was okay as the New York City cop who “dies” in the line of duty only to be recruited as a super-secret assassin. But I think his performance played a part in the poor performance of this movie at the box office. He is trained in the Korean martial art-form of “Sinanju” by the elderly master Chiun. Joel Grey (Cabaret) gives a great performance behind the make-up, mixing in just the right amount of humor. In fact, the moments between Remo and Chiun are, by far, the best of the movie. It’s fun to see Wilford Brimley (The Thing) in his relatively small role of Harold Smith (think of a harder edge version of 007’s M). However, much of the supporting cast leaves much to be desired. Kate Mulgrew surprised me by showing off her legs years before she became Captain Janeway on Star Trek: Voyager but she doesn’t show off much acting talent here. The soundtrack is great and throws you back into the time period. However, clocking in at over 2 hours long, the movie clearly needed a better editor as it would have moved much quicker if finishing up around 90 minutes or so. It’s just rather dull at times. Apparently, a faster paced climax was nixed at the last minute due to budgetary concerns. After only making $12 million on a budget of $40 million, any ideas of a sequel were quickly forgotten. It’s not a horrible movie; it just suffers from a lackluster script and uneven acting. That said, it is out-of-print on DVD so expect to pay a little more than it’s probably worth. Watch the trailer and judge for yourself, and then catch the whole movie on YouTube. After that, listen to Vince, Mary and Nic over at the B Movie Cast, episode 229, for a great conversation about this forgotten film of the 80s. 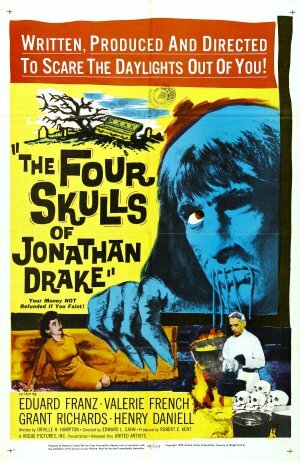 Next time, we’ll catch up on three more recent podcast movies: The Four Skulls of Jonathan Drake, The Hideous Sun Demon and Lo. And fear not, there is more Godzilla on the way!! After the abysmal All Monsters Attack (1969), the thought is it could only get better with the next entry in the series. 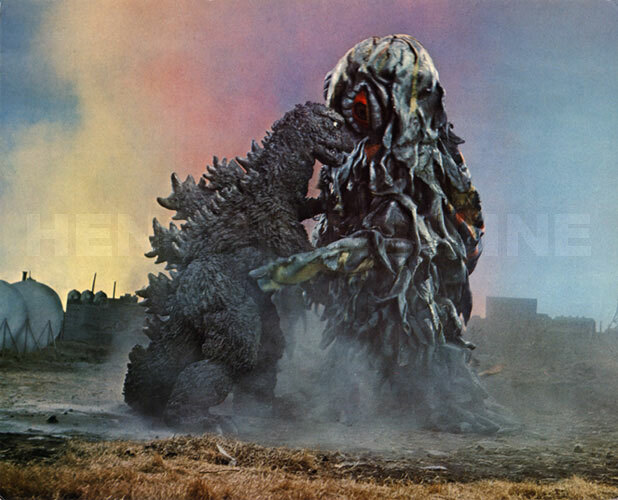 However, how much better Godzilla vs. Hedorah (1971) truly is remains a topic of debate. Yoshimitsu Banno stepped in as director in what would ultimately be his only shot at the series. Reportedly, producer Tomoyuki Tanaka was so upset at the finished product that Banno never did another Godzilla film again. Personally, while not my favorite, I do think it was a better effort than the previous film but it certainly still had some major flaws. Godzilla vs. Hedorah (better known at the time under the US title Godzilla vs. The Smog Monster), is very much a product of the 70s. Much like the 70s setting ultimately hurt the Hammer Dracula series, scenes of Japanese nightclubs tend to pull you out of the movie. However, it was perhaps the most topical of Godzilla films in years due to the anti-pollution message, itself a very volatile topic of Japanese culture at the time. Our story centers on an alien life form known as Hedorah that feeds off Earth’s pollution, growing in size to become a massive creature ready to destroy our planet and, ultimately, engage Godzilla in battle. It starts life as a sea creature but evolves into a land-based monster. A young boy named Ken, son of scientist Dr. Yano, has visions that Godzilla will come to help them fight off Hedorah. Part of Hedorah’s arsenal is a poisonous gas and the body count starts to pile up. Godzilla fulfills the dreams and it all leads up to the big battle sequences between Hedorah and Godzilla. This is where the issues in the film begin to arise. I found the fight scenes to be some of the most long-winded in the series to date. I also found Hedorah’s design to be a little odd. But it works in the context of how it was created. We’ve gone from over-the-top lighthearted fare in All Monsters Attack to some severe doom and gloom here, not just in tone but overall appearance. The scenes are darkly lit and seem to drag on. Sure, we have some odd animated sequences to lighten the mood and some groovy 70s tunes to help us relax. We even get a bizarre moment where Godzilla shows us all he can fly. Thankfully, he decides to never use that power again (well, yes he does but he uses his tail in Godzilla vs. Megalon…more on that another day). Most critics hated the music and dark tones while some believed the series no longer held any merit beyond that of a children’s series. Admittedly, while I did like this one better than All Monsters Attack, it was still a little difficult to muddle through. Perhaps if I had seen the original Japanese language version I may have enjoyed it more. As it was, I didn’t hate it and recommend every Godzilla fan watch it at least once. Sadly, it’s out of print, so prepare to open your wallet. Meanwhile, check out a trailer to see it’s something you want to add to your collection. It was commercially more successful than its predecessor but only barely. Banno had hoped to do a sequel but, as previously stated, he was banned from Monster Island. The series was struggling and clearly needed a boost. Was it time to return to form with alien invasions and proper monsters? 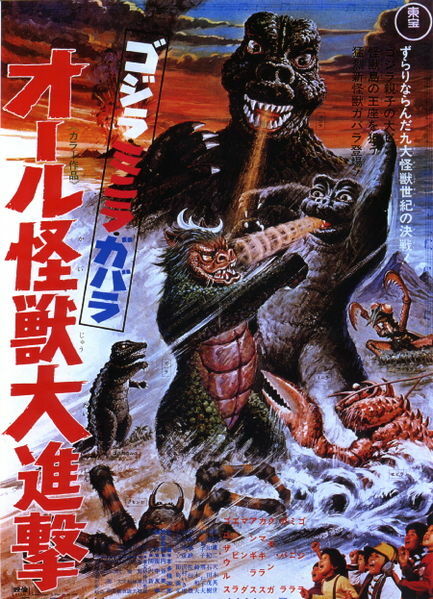 It may have Ishiro Honda as director, but All Monsters Attack (1969) remains my least favorite Godzilla film. 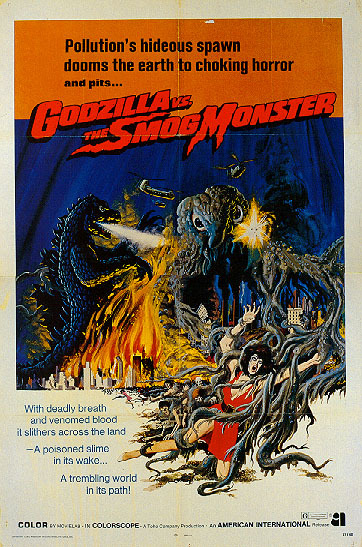 For years, I had only seen the American dubbed version, known as Godzilla’s Revenge. Upon purchasing the Japanese language version in the Toho Master collection, I had a small glimmer of hope that somehow hearing it in Japanese would make this movie better. Unfortunately, any improvements were small and insignificant. Ichiro is a latchkey kid growing up in the grim and polluted Tokyo of 1969. His parents both work and he’s constantly pursued by bullies. So, he escapes into his own fantasy world of living on Monster Island. 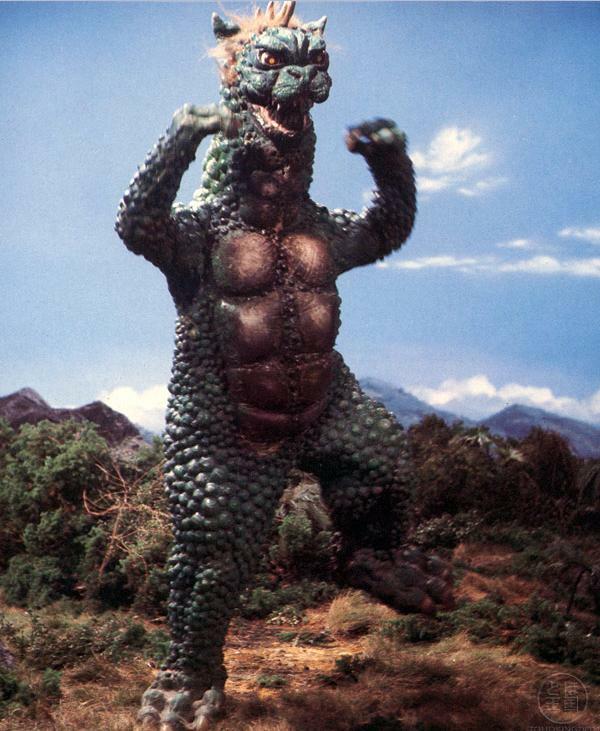 He’s nicknamed the head bully as Gabara, so no surprise that Godzilla’s son Minilla has his own troubles with a monster named Gabara. As Ichiro’s dreams play out, we see Godzilla battle it out with Kamacuras (those praying mantis-like creatures from Son of Godzilla), Kumonga and Ebirah (Godzilla vs. The Sea Monster). 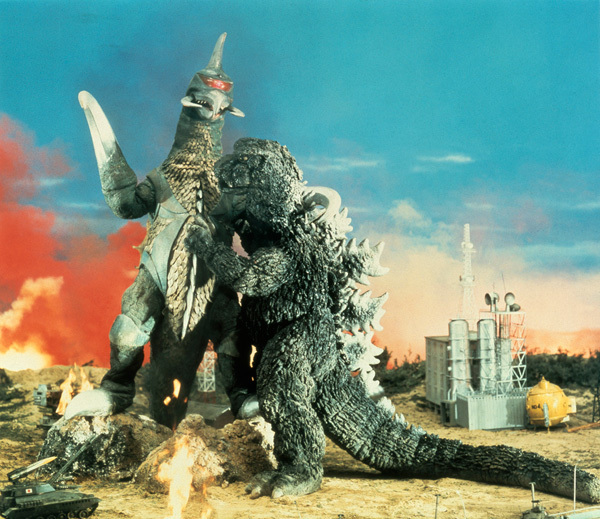 Minilla has his hands full with Gabara. Minilla is constantly running away in fear while Godzilla tries to help him learn how to fight on his own. Meanwhile, in the real world, Ichiro is captured by two bungling bank robbers in a storyline that just seemed annoying. Ichiro learns from his dreams how to fight in the real world, eventually out smarting the robbers and the bullies. From the first few seconds of the Japanese language version, I thought maybe my hopes of this being better were going to come true. One of the biggest differences is that a vocal song is used for the opening credit sequence. Yes, it’s annoying but it signaled that there might be some cool changes ahead. Sadly, what followed was just as bad as I remembered it. The movie is childish all the way through, which is exactly what Toho wanted at the time. Their goal was to aim the movie towards children just in time for the Christmas toy buying season. Since special effects legend Eiji Tsuburaya was busy, Honda was left doing the special effects himself. So, no surprise that he chose to tap into the stock footage. The dream sequences are particularly annoying in that Minilla (or “Minya” as he was called in the dubbed version) has the ability to talk and grow/shrink at will. Since all of the monster sequences occur in Ichiro’s dreams, it’s safe to say that none of it really happened in the Godzilla universe. However, there are some cool battles that at least make this one watchable. This was just painful from start to finish. However, it is also one of the easiest Godzilla films to find as it’s always been in print in one form or another. If you have a strong desire to check this one out, or if you are a Godzilla completest like me, then the Toho Master Collection is the way to go at less than $10 dollars. 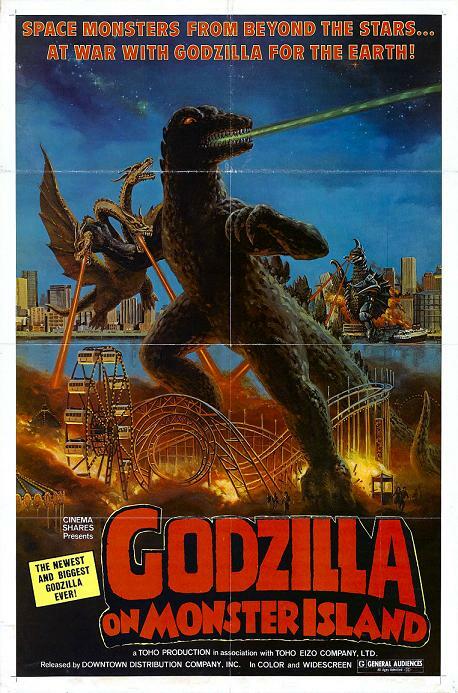 For me, this is the bottom of the barrel in the series but, although we would take a step or two up in the next few years, the 70s were upon us and dark days for Godzilla were still ahead. As the 1970s approached, the Godzilla film series went on a roller coaster ride of pros and cons. It’s no surprise that I’ve seen many of these movies numerous times but always dubbed, not in their original Japanese. So, upon recently revisiting Destroy All Monsters (1968) for the first time in years, it was also the first time watching it in Japanese. Without a doubt, this is my preference as dubbing often just takes me out of the moment. 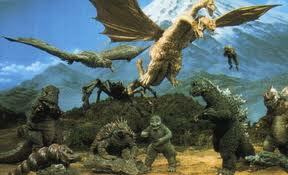 Growing up, Destroy All Monsters was only one of my favorites because of the sheer number of monsters in the film. Watching it again showed it still stands on one of the best of the original Godzilla series. 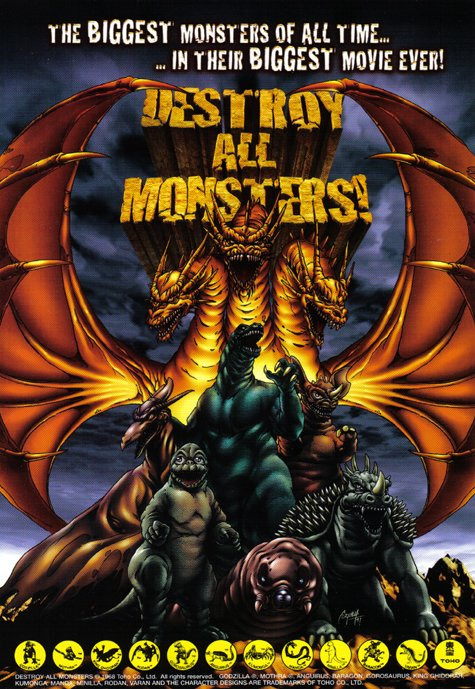 Officially the ninth Godzilla film, Destroy All Monsters was also intended to be the last of the series. Therefore, director Ishiro Honda and special effects wizard Eiji Tsuburaya were blessed with a bigger budget in order to bring out all of the monsters from eleven of Toho’s Kaiju films. The plot sets our story at the end of the 20th century. All of the Earth’s monsters have been captured and now live on Monster Island, where they are monitored by the United Nations Science Committee (UNSC). Scientists live underground, observing the monsters while making sure they don’t escape. Our monster cast includes Godzilla, Minilla, Mothra, Rodan, Gorosaurus (King Kong Escapes), Anguirus (Godzilla Raids Again), Kumonga (that creepy spider from Son of Godzilla), Manda (looking better here than in Atragon…but not much), Baragon (Frankenstein Conquers The World), and Varan (Varan The Unbelievable). An alien race known as the Kilaaks gain control of the monsters and make the scientists their unwilling slaves. Their plan is to force the human race into submission or be destroyed. Godzilla attacks New York City, Rodan hits Moscaw, Mothra heads to Beijing, Gorosaurus goes for the French cuisine in Paris and Manda visits the queen in London. The UNSC learns how the Kilaaks are using radio signals to control the monsters and force the aliens to bring King Ghidorah to Earth. A monster battle royale ensues with Godzilla and friends finding on our side for once. While the plot of Destroy All Monsters is, on the surface, one of the weaker efforts in the series, it stands out as one of the most fun. While there are very few plot twists or developments for that matter, you’ll get more than your fill of battle sequences. There’s no denying that there is a great deal of nostalgia present when I watch this one as it takes me back to those early days of cable television. Seeing all of these monsters in one place was a big treat because some of them never graced our local channels. I just recently discovered Manda in Atragon and Varan The Unbelievable is on my shelf waiting to be viewed for a first time. Needless to say, Destroy All Monsters has always been in print in one format or another. Sadly, the most recent 2011 Tokyo Shock version, which was in both DVD and Blu-Ray, is now out-of-print and demanding prices of close to $100 or more. Reportedly, Toho was unhappy with the print quality and dubbing sources, leaving fans to scramble to acquire a copy. Some due diligence and searching on sites like eBay may result in a cheaper copy. It’s worth tracking this one down. That said, it wasn’t the end of the series after all as the dark period of the 70s was waiting. Hang on folks, it’s going to get a little bumpy from here on out. I saw a lot of the slasher horror films back in the 80s by staying up late and watching HBO. I thought I’d seen them all until a few years ago when I discovered how wrong I was. Some that I missed were forgettable but others were hidden gems, like The Burning. However, I also discovered what has become one of my favorites only because it had a remake coming out. One of the podcasts I used to listen to covered it and I determined I had to seek it out after hearing the infectious closing theme. Of course, there’s no better day to cover the perfect date movie than Valentine’s Day. 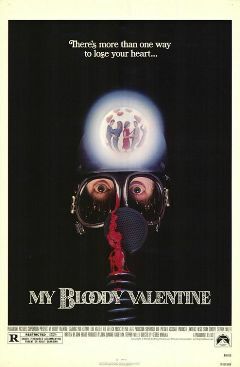 Yes, I’m talking about My Bloody Valentine (1981). One of the things that make this movie stand out as one of my personal favorites is the unique setting and grittiness it offers the viewer. Set in the mythical small town of Valentine Bluffs (really Sydney Mines in Nova Scotia, Canada), our story deals with a community that has shunned Valentine’s Day for 20 years. A mining accident trapped five men underground in a mine with only one of them making it out alive. It turns out the survivor, Harry Warden, didn’t come out in the same mental state as when he went in. Seeking revenge on negligent supervisors, who left the mines to get to a dance, he used a pickaxe to cut out their hearts and warned the town to never hold another Valentine’s Day dance again. Flash forward 20 years and the community has decided to hold a dance again. Yes, you know what happens next. Victims begin to pile up and the town’s chief of police is receiving hearts in candy boxes. He cancels the dance, but the youngsters decide to hold a party anyway at a place that just screams out fun for all…the mine. Along the way we have the usual love triangle, iconic deaths, horny teenagers, the usual plot twists and plenty of gore. For me, what makes the movie is the image of the killer miner, the gloomy atmospheric town and the crazy little ballad at the end of the movie. Also, a mostly unrecognizable cast allows you to fully submerge yourself into the film as well as the time period. In this modern day and age of remakes, it’s no surprise that somebody decided to attempt a new version. 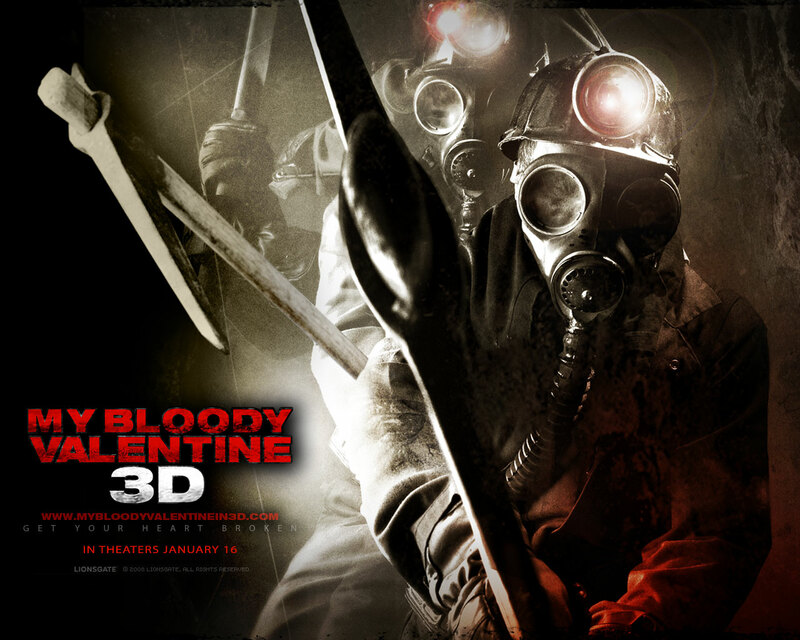 In 2009, My Bloody Valentine 3D hit the theaters starring Supernatural star Jensen Ackles in the lead role of Tom Hanniger (who was known as T.J. in the original). Jaime King (Sin City, The Spirit) plays love interest Sarah Palmer (played by Lori Hallier in the original). Familiar faces are seen as supporting characters including Kevin Tighe (Road House, TV’s Emergency) and legendary Tom Atkins (Halloween III: Season of the Witch, Night of the Creeps). In this version, Tom was the negligent one and Harry became a cannibal in the mine disaster. In our opening sequence, the comatose Harry Warden wakes up and goes on a bloody rampage. Harry travels back to the mine where he is eventually killed. However, Tom barely escapes death, leaving town and his girlfriend Sarah behind. Flash forward ten years and Tom is back in town after the death of his father. He’s selling the mine and many in the town are not happy with him at all. Of course, random killings begin to happen that are more graphic than what was cut out of the original. We have the iconic killer miner image that still works for me. We have another love triangle and some new death scenarios. However, we also have some scenes that are almost straight out of the original. These can be taken as a homage to the first film or as a blatant rip-off, depending on your frame of mind. The one key thing missing here is the gloom and grit of the original. Everything seems just a little bit glossed over in the remake. 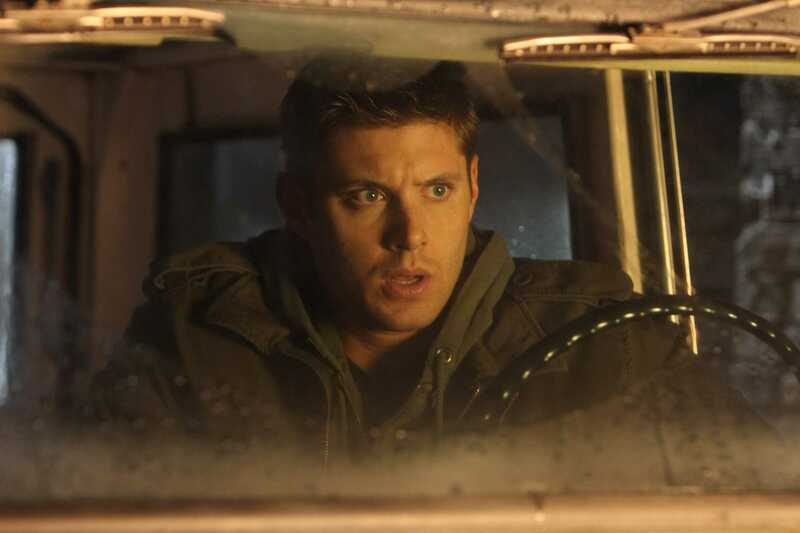 I also find myself pulled out of the film by the presence of Jensen Ackles. That is probably due to being a fan of Supernatural since day one. Also, as this was originally in 3D, there are some very obvious, and now very cheesy, moments where objects fly at the screen. Some of the gore is great but some looks like the very cheap CGI it is. However, as far as remakes go, the 2009 version does work better than expected. The original was a moderate success and developed cult status over the years for the missing 9 minutes of footage that was removed by the MPAA due to excessive gore and violence. With the 2009 special edition DVD, two and half minutes of gore were reinstated into what is believed to be the most definitive cut of the movie we’ll see. It’s also now available on Blu-ray. The 2009 remake was successful enough that you’d think Hollywood would have come up with a sequel. However, like the original, we’re left only with the main story and that is more than sufficient. I prefer the original but the remake is enjoyable. Both of these movies would make a nice double feature on date night. 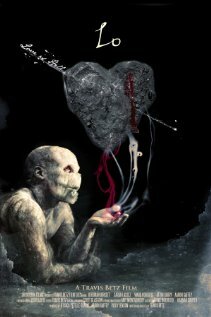 Happy bloody Valentine’s Day!